Spending the last two months training at Takami Karate has been an unforgettable and rewarding experience and one I would like to share with those with an interest in karate or traditional Japanese martial arts and are considering training in Japan. 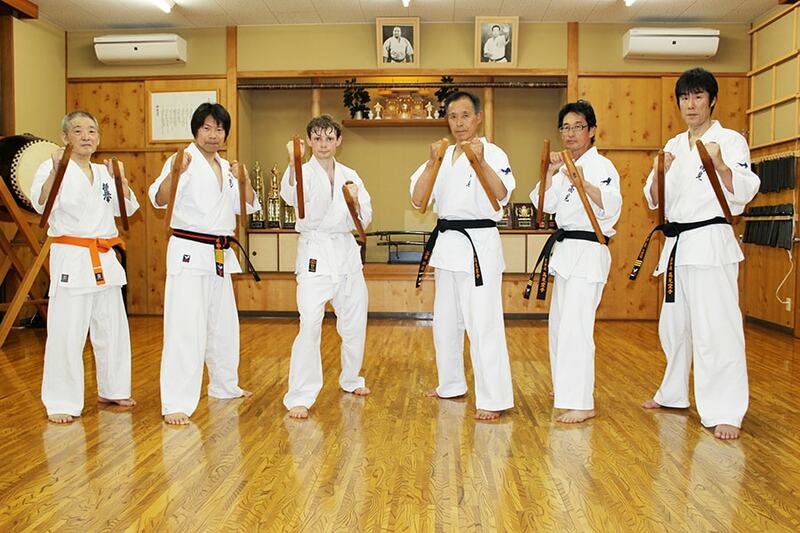 The Takami Karate dojo has a unique and traditional design with a hardwood construction. A massive ō-daiko drum, a kamidana (small Shinto shrine), and a variety of traditional Japanese weapons are also featured in the dojo. The atmosphere is genuinely “Japanese” and one could not ask for a better space to practice karate. A typical day of training begins with everyone sitting in seiza (kneeling on the floor) and performing mokuso (meditating with one’s eyes closed) to the beat of the taiko drum. 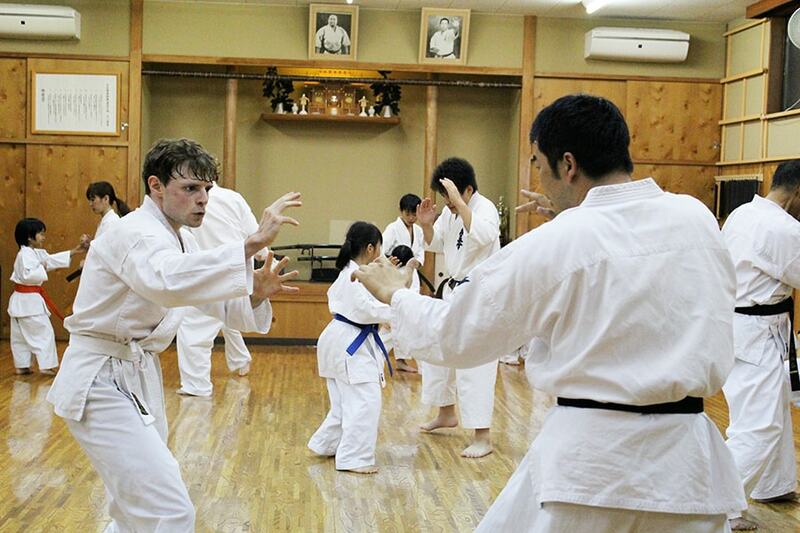 The adult class overlaps with the youth class for the first half hour, which begins with a series of stretching exercises and the kihon (fundamental techniques). 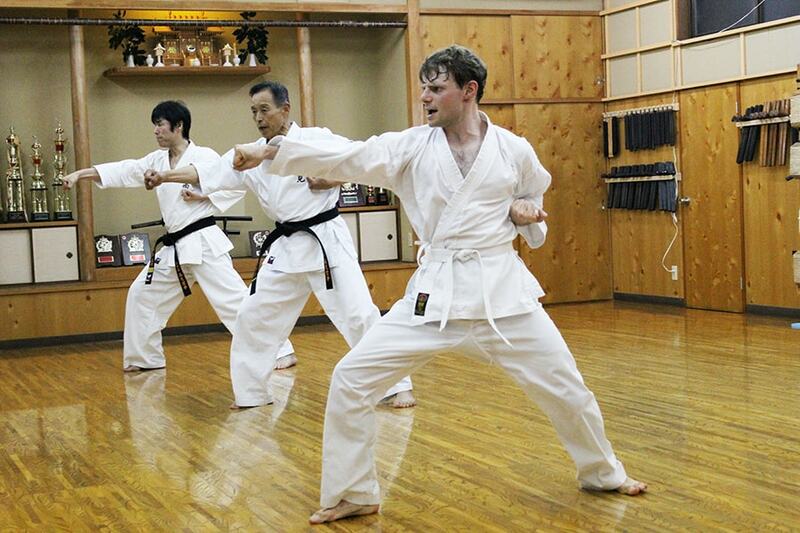 Various kata (form) is also practiced during this time. The adult class begins with advanced movement techniques including punches, kicks, blocks, and combinations. Kumite-waza (sparring technique) is taught during the last portion of the class and one can test their skill with other members during free sparring. 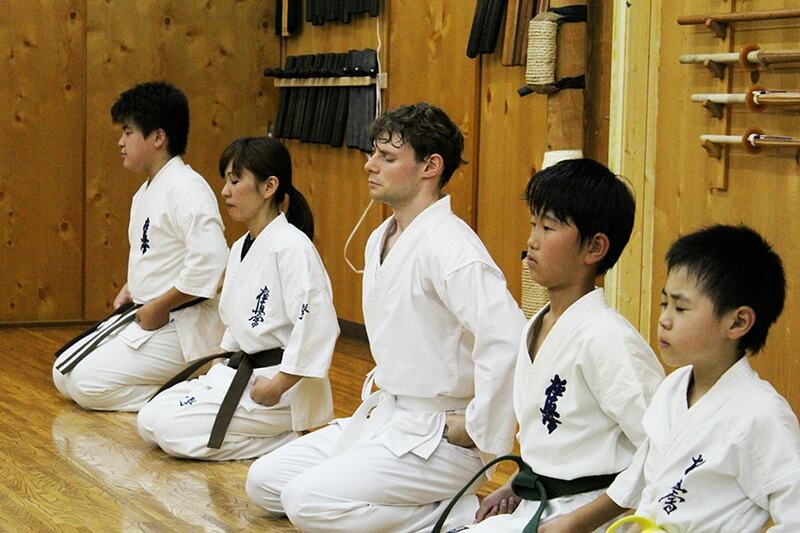 Finally, everyone sits in seiza once more and recites the dojo oath together, bringing the class session to an end. 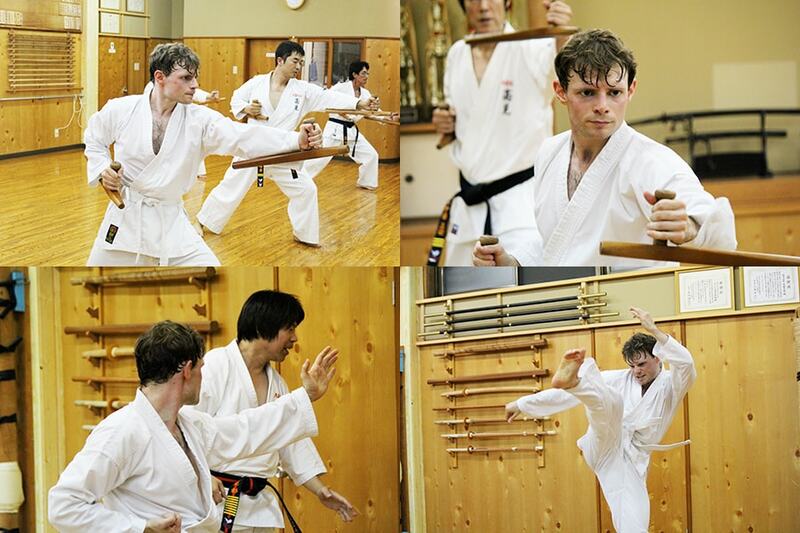 Afterwards, one is able to use the dojo to practice freely with other members. This is a great time to go over any particular area of difficulty during training and the instructors will help you master it with step-by-step instruction. The training is intensive and challenging but also manageable for beginners who are willing to learn and put forth the effort. Takami Karate also emphasizes training with traditional Okinawan and Japanese weapons such as the tonfa, bō and jō staff, and nunchaku. I personally enjoyed training with the tonfa and was able to perform the basic kata with ease after training for two months. At Takami Karate, I have not only improved my karate greatly, but also personally gained from the cultural exchange with the people I met, and this is what made the experience truly rewarding. Everyone kindly welcomed me into the dojo as a new member and went out of their way to make me feel welcome. The instructors also helped me adjust to the training routine and gave me advice on form and technique. During breaks and after class it has been a joy speaking with the youth class in English. Everyone is excited to learn and will often want to start a conversation. I strongly recommend Takami Karate to anyone who is serious about learning karate and looking for both a fun and challenging program in a traditional Japanese style dojo with amazing instructors and people.